Famous for his association with Kannada literature's Navya movement of the 1950s, Ananthamurthy penned a number of acclaimed psychological novels, including Bharathi Pura; Samskara; and Bhava. After receiving his master's degree from the University of Mysore and his PhD from the University of Birmingham, he began his teaching career at the former institution. His numerous literary honors include a 1994 Jnanpith Award; the 1998 Padma Bhushan; and a 2013 Man Booker International Prize nomination. He and his wife, Esther, became parents to children named Anuradha and Sharat. 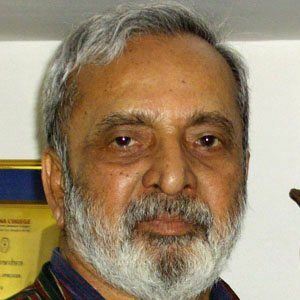 Active in politics, Ananthamurthy launched an unsuccessful 2004 campaign for a seat in the Indian Lok Sabha and was later vocal in his opposition to Indian Prime Minister Narendra Modi.